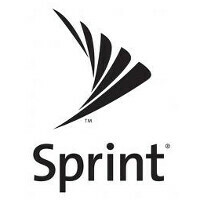 Sprint announced on Friday that it will now reimburse you for 100% of the money you pay your current carrier as an early termination fee, so that you can break your two year contract with them to join Sprint. If you don't have a two-year contract, Sprint will pay the remaining amount you owe on an equipment installment plan. Here is how the process works. You bring your number into Sprint with your ETF fee or the balance for your equipment installment plan. Next, you purchase a phone using Sprint Easy Pay, the iPhone for Life Plan, or Sprint Lease. You can also dig deep into your pockets and pay full retail price for a brand new handset. Go online to www.sprint.com/joinsprint and upload a bill that shows applicable charges for reimbursement within 60 days of activation. Now, all that is required is for you to hand over to Sprint the phone associated with the account you are closing. You will receive a free pre-paid mailer for the task. The phone must be in good working condition. The fees will be reimbursed in the form of an American Express Reward Card. If T-Mobile hasn't yet passed Sprint for the third spot among the nation's top four carriers, it should soon. And that puts Sprint in desperation mode as it tries to recover some long-lost momentum. Isn't that the truth! VZ is more, but well worth it!! Meh... CDMA garbage. I got tired of having to go thru the provisioning headache with CDMA carriers. Now I have plenty of fun pulling my AT&T SIM card from my OnePlus One and sticking it into my BLU Studio Energy or my Lumia 520 whenever I please. Nothing holding me back from trying pretty much any unlocked phone, hell there's nothing stopping me from using Verizon phones that are GSM Unlocked. Have fun with your limited options. Verizon has had the best performaing network for quite a long time besides that they have a LTE and CDMA network. Network quality is about the buildout not the technology. Many of the newer phone will work on any network includeing Verizons. I tried my verizon sim card in a ATT nexus 6 and it worked no problem. I also just sold an unlocked Sprint Iphone 6+ that I was using on Verizon. I have also tried my dad's t-moble Nexus 5 and it needed to be unlocked and then it worked on Verizon too. The one plus is probibly capleble of supporting Sprint and verizon but the manufacture decide not to. Your argument is sooo 2010. Handset manufactures are finally catching up with the networks. All of the phones you mentioned are global phones with radios meant to work with LTE on essentially all networks (GSM and CDMA). Most phones unfortunately are not built that way. You can take many new Verizon phones to ATT and T-Mobile but most of the time you can't get LTE (with a few exceptions based on where you live) because the phone does not contain the hardware to get LTE on those networks. Also unfortunately, the CDMA headaches of switching networks does in fact still exist live and well today. Provisioning phones sometimes works rather easily, other times its a bit of a headache. On top of that carriers such as Sprint for some reason continue to try and block you from using new phones elswhere. Just look up what Sprints FEC is doing to potential new customers and its business partners. These days the radio IC chip supports all the technologies it’s just a matter for what the carrier wants to enable. I know one popular mod for Sprint Samsung phones is the flash the phone with Verizon firmware and now you have an unlocked gsm and Verizon capable phone. But you are correct up until just recently the carriers could block the ability to use your phone on another carrier. This is true of all carriers not just Sprint and Verizon the Note 4 sold at T-mobile & ATT has the exact same chipset as the one sold at Verizon. The new FCC rules will make it so phones sold in the USA will work on any US based network. What it may not change is the carriers policy for example Sprint won’t activate other carriers phones even if they are unlocked and capable of working on their network. This is the only reason I'm considering switching to AT&T. With Verizon if you break, or lose phone, you either buy one full prize, or get an used one. Whereas AT&T you can do the above. the A1524 is the phone sprint sells I believe Verizon sells it too. The upload your bill never works! If they could fix that, more people would probably do it! I went to their website to see what it would be if I duplicated my data and devices that I have with At&t but there would be no savings + act fee. NO WAY! They need to lower their prices to make up for their network. Sprints network is so damn bad. I will never return to Sprint regardless of the deals they give. I use the web service on my phone a lot and waiting 5+ minutes for a page to load up then when it does load up, some content is missing...... no. Just no. I think if you actually research Sprints network speed, you'll see its no where near the other big 3. It's a shame they're not embarrassed with their poor coverage and say things like they're dedicated to their customers and that they have the best value. Blah blah. Personally, I can't wait til our contract ends so we can switch out. Sprint should have a program where they pay for our ETF when leaving them lol. On another note, their website hasn't been functioning either. I can't activate new phones through my account page like I used to. Instead, I have to contact customer service to do everything and it takes a long time just to swap phones.. Wait, am I the only person who gets excellent service from sprint? Honestly, I don't even know the last time I dropped a call not to mention I am averaging 30 to 40 megs on lte. Been a Sprint a customer for about 4 years and change. Granted their LTE rollout here in Chicago a couple years back was a royal pain, but for the last year it's been pretty decent. Guess it depends on where you live. Seems that whenever you get away from the big cities the data speeds take a nose dive. As for call reception I've had no issues. Wish they'd spend their money on just improving their services instead of desperate moves to stay ahead of T-Mobile. Im sure stockholders may be happy initially that they are making customer gains, but when they see how bad the revenue got hit from this promos, that will make them very unhappy. They did. They fired almost all upper management. It is a whole new organization. Hence all the changes and more aggressive network build out without actually talking about the build out. "We want all U.S. wireless consumers to find out what our 56 million customers already know – Sprint does not offer good reception service ! If you really want to save money buy a PRE PAID SIM CARD either STRAIGHT, TALK NET10 or Verizon Pre Paid only way to go. I won a 350$ dispute with sprint because of the recorded conversation I had with the customer service rep. Guy said I wouldn't have a cancelation fee several times, but I got one in the mail like 2 months later. Horrible data speeds, worthless customer service. My company gives us sprint phones to use but holy s**t we all drop calls all the time here in the phoenix scottsdale area. It's so unreal. LTE is the most spotty piece of crap. & when do you get LTE its like 5 Mbps max on the download while on my personal T-Mobile phone I get 15-30 & that's everywhere. They should change their name from Sprint to Scarse.